Our Family Tracker app helped locating a missing child. You may read more about it here. What are the "GPS Breadcrumbs" ? 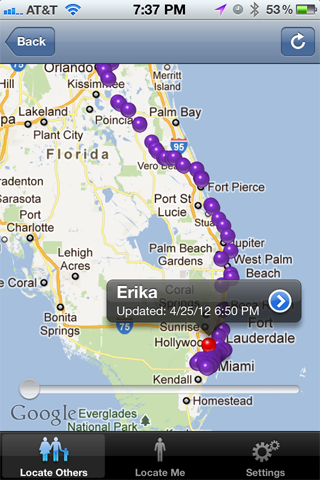 Every time the Family Tracker app on a device updates its location, it sends these coordinates to our secure servers. With an optional Pro subscription, we provide the ability for the users who have been previously authorized to track that device, to view where that person has been for the past weeks. Users can search for previous location either visually on a map using any web browser or their phones, or can use their own Family Tracker app to enter a specific date/time they are interested in. The Family Tracker app will show them where that device was at that time. This could be extremely important in cases of missing persons, as the moments before the phone is turned off, or even the places visited in the past, can provide extremely useful clues to the police that is trying to locate the missing person. An example is this story about a missing child that was located thanks to Family Tracker's GPS Breadcrumbs. 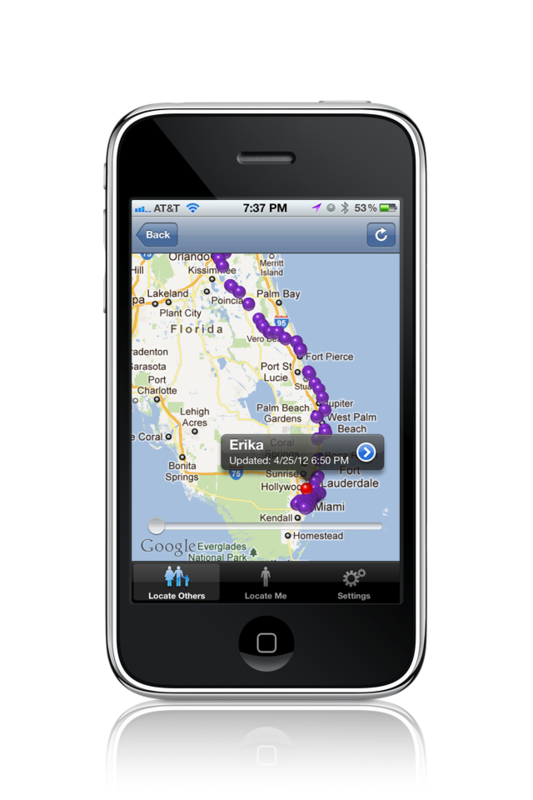 While we are able to "turn on" the Pro Features at anytime and recover the GPS Breadcrumbs even after a person is missing as happened in that case, being subscribed for the Pro Features already can save precious time in locating the missing person more rapidly.